I had heaps of fun over the weekend with some lovely ladies who came to my home for a class, and we made this set of cards. I wanted to show them how it is possible to use the same items and similar layout and create three very different cards. The cards feature the gorgeous Country Floral Embossing Folder, which is just so beautiful. I have combined this with some different patterned papers, the Gingham Gala and also the Garden Impressions. I found a fabulous tutorial on making these gorgeous little Milk Carton Boxes yesterday. The tutorial is by Sam Hammond Donald, and you can find the link to the video tutorial here. Definitely check that one out, Sam does some amazing tutorials. Thanks Sam. 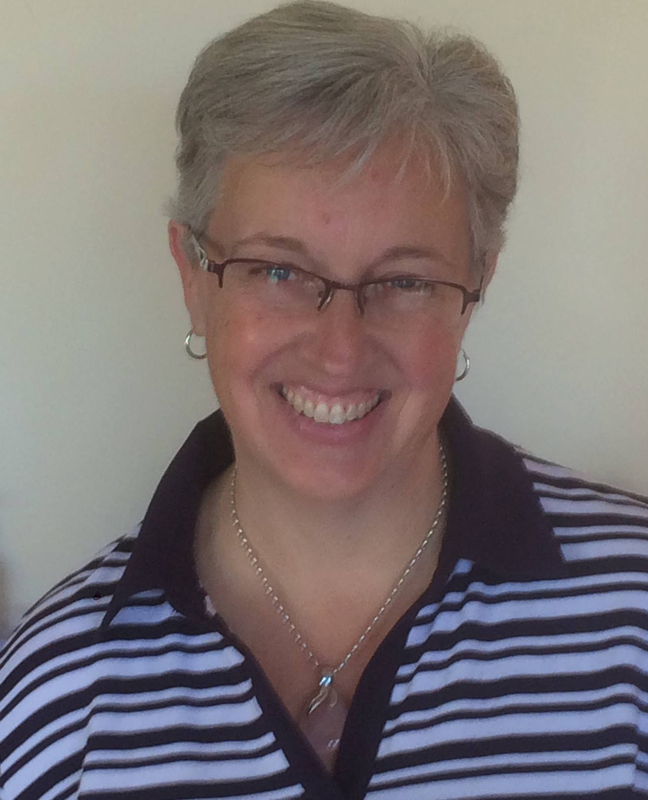 So, here is my version….. I have used the gorgeous Balmy Blue cardstock and then stamped butterflies from Butterfy Gala stamp set and some flowers from the Happy Birthday stamp set, also in Balmy Blue. And finished it off with a tiny peg that I had in my stash. They are just the right size to fill up with some chocolates, or some little Easter Eggs…. Hmmmmm…… Easter Eggs. I have used one of Stampin’ Up!s Decorative Masks to create the background for my card today. These are such a simple but effective tool which would also be fantastic for using on scrapbook pages, art journal pages, and a heap of other things. Something else I will be experimenting with, they are so easy to use, and it makes it super easy to create a quick background. So I have gone with some yummy Grapefruit Grove cardstock for my main colour, and sponged….. Flirty Flamingo ink through the Decorative Mask. Yes you read that right. You could, of course, use Grapefruit Grove ink and that would work too, but right now I don’t have Grapefruit Grove ink 🙂 and I liked the depth that the Flirty Flamingo ink added over the base colour. Add some strips of off cuts and left over pieces of patterned paper and cardstock, and some white Baker’s Twine, and that’s a really quick and easy card. The ends of both white off cuts have been punched using the Classic Label Punch, (another super versatile piece of equipment!) and the words are from Butterfly Gala stamp set. Inspiration for my card came from the current Sketch Challenge at Just Add Ink. 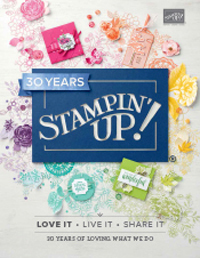 My box of new Stampin Up! goodies arrived yesterday so I have had a heap of fun playing with some of them today. Being a butterfly lover, I absolutely loved the Butterfly Gala stamp set from the Occasions catalogue as soon as I saw it. And it’s fantastic that it has a matching punch, although mine is on back order (guess it has been pretty popular!) so I had to cut the butterflies out by hand today. I have used the gorgeous Gingham Gala Designer Series Papers, and some retired doilies that I still have from a few years ago. The butterflies have been coloured using a Blender Pen and some gorgeous new ink colours, Balmy Blue, Highland Heather and Flirty Flamingo (they are new to me). I think my favourite is Highland Heather, how about you? It’s been so good to get back into some stamping and creating, and the ideas are starting to flow too quickly to keep up with. 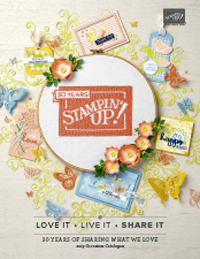 I just can’t believe that this wonderful, versatile stamp set is still in the Stampin’ Up! Annual Catalogue. It was one of the first stamp sets I got when I first joined back in 2008, and it’s still there now. Well, I had this stamped image, from Lovely As A Tree, and some really, really old papers and cardstock, so I have put something together, just because I am frustrated that I don’t have my new goodies yet. Such a gorgeous stamp set. I may have to reinvest in that one. Yes, I got rid of pretty much all of my stamps and heaps of my tools, so I am starting almost from scratch again. So I have no idea which set this DSP paper came from. And in the true spirit of getting back into stamping and cardmaking, I am going to add my card to some challenges. Firstly, Cardz 4 Guyz has a Clean and Simple Challenge happening. And also The Male Room is going Green. My card only has a little bit of green but never mind.